Archive for the Category "Cocktails"
London Cocktail Week (6th-12th October) heralds the start of a glittering week of activity for the award-winning El Dorado Rum, which will culminate in a series of master classes and tutored tastings at RumFest at Earls Court on Sunday 12th October. El Dorado will also be working with Trailer Happiness, one of London’s most Tiki-Tastic bars, where a rum and food pairing event will take place, and Harvey Nichols, who will be offering a twist on the 16th Century version of a Mojito, the El Draque, named after Sir Francis Drake. Beginning on Monday 6th October, El Dorado will be hosting its first ever Pop-up in the basement of 71 Monmouth Street just off Seven Dials, where guests will be invited to discover the legendary Lost City of Gold. Voted the world’s best rum a record eight times, guests will take a journey through the rainforests of Guyana, the home of El Dorado rum, where they’ll see and hear the sights and sounds of the lush, tropical surroundings which are indicative of the South American country. They’ll take in the expanse of Kaieteur Falls, the highest single drop waterfall in the world, as they delve deeper into the greenery to find the luscious, liquid gold of El Dorado rums. Tuesday 7th October – 7pm until 8.30pm. El Dorado Rum and Chocolate Pairing. Wednesday 8th October from 7 until 8.30pm. 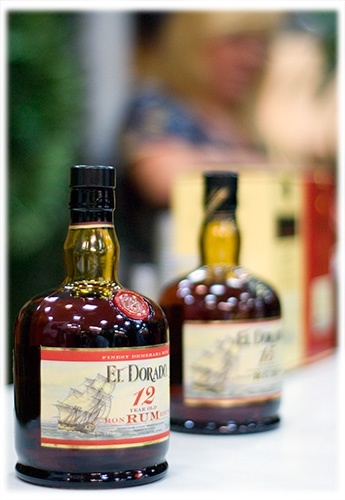 El Dorado Rum and Savoury Pairing. Thursday 9th October from 7pm until 8.30pm. El Dorado 25 Year Old Rum Tasting. Friday 10th October from 7pm until 8.30pm. El Dorado Single Barrel Rum Tasting. Saturday 11th October from 2pm until 3.30pm. The last of the sessions at the Pop-up. Here’s a chance to put your taste buds to the test and put the information you’ve learnt over the week, into practice. The last session is ‘Guess the Rum’ – a blind tasting competition. Think you know the El Dorado range? 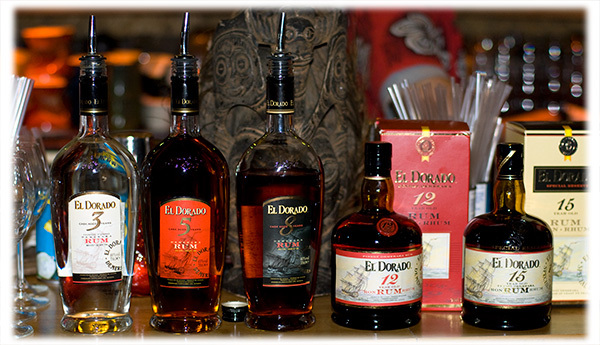 Pop in to the Pop-up and blind test three rums from the El Dorado range. You’ll be up against the clock but it’s worth it – a bottle of El Dorado 15 Year Old will be awarded to the person who guesses correctly in the quickest time. *To make the roasted pineapple and coffee bean puree, cut one pineapple into cubes, add 50 gram of coffee beans and cook into an oven on low heat for 12 hours. Remove and discard the coffee bean sand blend the pineapple cubes for three minutes until you get a creamy puree. Method: Gently muddle the mint with the sugar and lime juice. Add the puree and El Dorado and crushed ice. Stir together and top up with soda water. The rum fun doesn’t stop there. Trailer Happiness in Notting Hill will be offering a selection of three cocktails made with El Dorado Rum, which will be available for £4 to those with a London Cocktail Week Wristband. They are also hosting at Rum Club Food Pairing with El Dorado rum which will be hosted by Stefanie Holt on Monday 6th October from 7.30-8.30pm. Tickets cost £5 and can be purchased from the London Cocktail Week website http://londoncocktailweek.ticketsource.co.uk/ . Back for the fifth year, London Cocktail Week – the biggest drinks festival in the UK – is just around the corner. From Monday 6 to Sunday 12 October 2014 get ready to shake, sip and party your way to a fantastic celebration of our capital’s unrivalled cocktail culture. To be part of London Cocktail Week 2014, festival-goers must buy a wristband, which cost just £10 if booked in advance or £15 once the week begins. Wristbands give access to the huge amount of free sampling and cocktail demonstrations, as well as the renowned self-guided Cocktail Tours; with 250 of the best bars across the capital throwing open their doors to offer bespoke and unlimited cocktails for just £4 all week. Each bar will be mapped out in your FREE London Bar Guide, so there will be no problem navigating around. The LCW experience starts from wristband collection at one of the London Cocktail Week Hubs from 12noon until 9pm; hives of activity guaranteed to get you into the cocktail spirit. Each Hub has their own unique twist and is placed in the epicentres of the main bar areas– be sure to set aside four evenings to visit them all! With less than a week to go to, the fifth annual Boutique Bar Show is shaping up to be a great event at London’s Royal Horticultural Halls. Taking place over 2 days, between Tuesday 20th and Wednesday 21st September 2011, this On-Trade show features a great selection of the smaller boutique brands, representing a number of spirits, including; Rum, Cachaça, Tequila, Vodka, Whiskey & Bourbon, Gin, Liqueurs, Beer & Cider, as well as a number of other spirits and Juices & Mixers. Confirmed Rum and Cachaça brands attending the show are: Boca Loca Cachaça, Koko Kanu, Appleton Estate Rum, Gosling’s Black Seal Rum, Germana Cachaça, Pink Pidgeon, Ron Barcelo, Flor De Cana Rum, Kraken Spiced Rum, Banks Rum, Doorly’s Rum and Chairman’s Reserve. The show also features a number of seminars and speakers, along with competitions. If you already missed the Manchester show in May and cannot make the London dates, Edinburgh will be hosting the last Boutique Bar Show this October. For more information please visit www.boutiquebarshow.com and if you’re interested in attending the show, please don’t forget to register. Having recently tried a half decent Mango Daiquiri and on the day in question picked up a bottle of Mango Puree, a little bit of experimentation led to my Frozen Jamaican Mango. While most of the Mango cocktail recipes I’ve seen use light rum, I decided to add a bit more weight to the rum flavours by using a Dark Jamaican Rum. The Pineapple rum flavour is more subtle, but blends well with the mango flavour. Of course the addition of the 150+ Proof Rum float will give this tropical frozen drink a bit of a kick. However, if you are unable to source 150+ Proof Rum, then the Overproof Rum of your choice will suffice as a substitute. Quarter fill the Blender with Ice and pour in the Dark Jamaican Rum, Pineapple flavoured Rum, Mango Juice and Mango Puree. Blend the ingredients for approx 30 – 45 seconds. Once ready, pour the blended mix into the Hurricane Glass and pour the 150+ Proof Rum on top of the drink as a float. Add the Drinking Straw and Pineapple Wedge to garnish before serving.